Announcement photo sessions have become increasingly popular when it comes to pregnancy. Couples are having a blast announcing their pregnancy, the gender of their babies and even their due dates. From special activities for the whole family to cute t-shirts, signs and movie posters the possibilities are endless. You can even turn your maternity photos into an announcement! Let everyone know your babies name! We have an awesome chalkboard backdrop in the studio for writing on. Or you could spell it out in block letters like this mommy did. Now is a great time to announce the gender of your little boy or girl. Everyone knows your pregnant but do they know you're expecting twins? Announce it during your maternity pictures. Some people are great at keeping secrets. 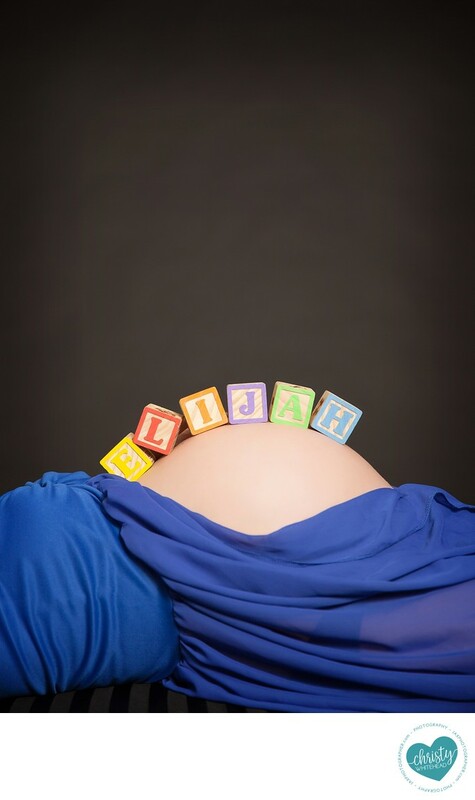 Use your maternity photos to announce the pregnancy itself if you have been trying to keep it under wraps. Want to let the world (or at least your closest family and friends) know your babies gender or that you're expecting? We can design a session around that experience too. Just give the studio a call so we can discuss your ideas and set up a custom photo session. We can even create announcement cards for you!